Brilliant Things and Positive Post Its! 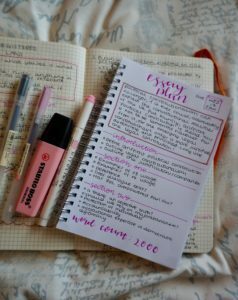 As it draws to December, it can seem intense, gloomy, and with lots of work to complete before the end of the term, it can leave you feeling stressed and negative. The fact that it literally starts getting dark at about 3 pm is crazy and can leave you in a bit of a weird state of mind. Mental Health is such a prominent topic for students and something that is becoming more and more supported and talked about. In these winter months though, it can be easy to let stress get in the way of friendships, support networks and, most importantly, happiness. Happiness can seem like this very vague, unattainable concept, I think, and a way to break it down into a more tangible and achievable state of mind is perhaps to allow yourself to appreciate the small, brilliant things in life, no matter how tiny they may seem. A build-up of small, happy things. I came across this play a few years ago. The play is called ‘Every Brilliant Thing’. And in short, it is life-affirming. It has since been one of my favourite plays and I read it every time I need reminding that happiness doesn’t need to be grand or all-encompassing, happiness can be as simple as one amazing hot chocolate. 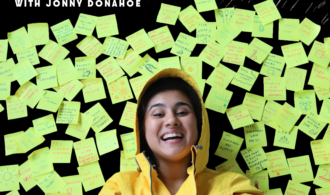 The play is extremely conversational, as one person tells the story of their attempt to create a list of ‘everything brilliant about the world, everything worth living for’ for a family member struggling with depression. The play is creative, warm, joyous and most importantly, reminds us that happiness comes in lots of small packages. I was so inspired by this play that I wrote to Duncan Macmillan’s agent, begging for performance rights…that hadn’t been released yet… To my absolute joy, I was given the rights! A huge part of this play, for me, was bringing the happiness that the play exerts into the Durham sphere. As part of our publicity for the production, but also as part of our own attempt at filling Durham with more positivity, we have started a ‘positive post its’ project. 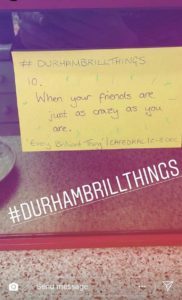 We are spreading yellow post its all over Durham with little, Brilliant (with a capital B) things on them to add a little brightness to the day of whoever finds one. 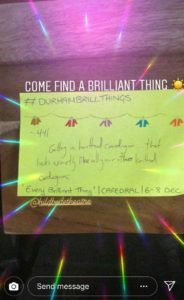 If you find one, why not share it on your social media with the hashtag #durhambrillthings and spread the love in these dark, winter months that can feel never-ending. The production is taking place in Cafedral, a beautiful little cafe – and there will be FREE TEA! (Truly a brilliant thing). The production is short but really will remind you that small, happy things can make a difference to yourself and to others. See our Facebook Event here. To purchase tickets for the event click here. 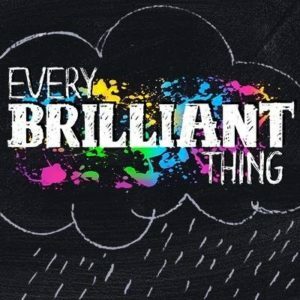 Hild Bede Theatre presents ‘Every Brilliant Thing’, 6 – 8 December, 7:30 pm, at Cafédral, Owengate, Durham. 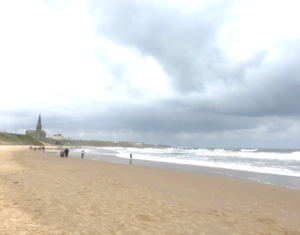 I’m Rosie, a third year student, studying English and in Hild Bede College! I am Co-president of Hild Bede Theatre and generally immerse myself in as many arty and theatry things as possible! I’m also obsessed with desserts - so there’s a fun fact.